In Africa, the number of youth is growing rapidly. In 2015, 226 million youth aged 15-24 lived in Africa, accounting for 19% of the global youth population. By 2030, it is projected that the number of youth in Africa will have increased by 42%. Africa’s youth population is expected to continue to grow throughout the remainder of the 21st century, more than doubling from current levels by 2055. According to the September 2016 McKinsey report on Africa, “Lions on the move – Realizing the potential of Africa’s Economies”, it is estimated that, by 2050, the continent will have a working-age population that exceeds that of China and India. The Ghana 2015 Labour Force Survey states the youth constitute 35.9% of the population of the country. The Government recognises that the youth are a veritable and critical human resource with a global outlook thatcould be channelled for the national development agenda. Empowering the youth with the knowledge and skills to play a full role in nation- building is therefore of paramount importance to the development of Ghana. Currently, 16.9% of the youth are estimated to be unemployed, and given the high youth labour under-utilisation rate of 42%, the proportion of unemployed youth could be more. In the Government’s bid to tackle youth unemployment and under-employment Ghana in 2006 established the National Youth Employment Programme(NYEP) which is now operating as the Youth Employment Agency Scheme(YEA). The YEA was established to empower youth to contribute meaningfully to the socio-economic and sustainable development of Ghana. The objective is to support Ghanaian youth aged 15 to 35 years to transit from unemployment to employment through skills training and internship modules. They are responsible for developing guidelines for the implementation of an integrated, innovative national youth employment programme. The YEA is also responsible for setting the standards and procedures for youth employment and career development in the country. They connect youth with skills-training both within and outside the country. The YEA also serve as a one-stop shop for youth employment and entrepreneurial development, and it takes into consideration gender and persons with disability. To further ensure youth employment remains at the centre of Ghana’s national development, the National Youth Policyensures comprehensive development of the youth; its medium-term objective is to create opportunities for youth to participate effectively in national socio-economic development and political governance. Government through the National Entrepreneurship and Innovation Plan(NEIP) supports and incubates young people’s businesses with a supportive ecosystem for young Ghanaian entrepreneurs aged 35 years and below. Bills have been passed to allow tax holidays of up to five years for young entrepreneurs, granted on the basis of the number of people employed by the start-up. Tax credits and other incentives have also been introduced for companies that hire young graduates from tertiary institutions. In showing its commitment to the creation of jobs for the youth, the government has instituted a buy-local policy for Government agencies with regards to ICT, to ensure that applications and software are procured from local ICT firms. Other specific measures pursued include equipping youth with employable skills; strengthening the link between education and labour markets; building the capacity of the youth to discover opportunities; creating youth desks at the Metropolitan, Municipal and District Assemblies (MMDAs) so that youth can access reliable labour market information; strengthening key national institutions, including the National Youth Authority(NYA) and the YEA, enabling them to discharge their mandates effectively; and building integrated youth centres in all districts to serve as information hubs for youth development. Other interventions include: introducing entrepreneurial skills training; rebranding, creating awareness of, and encouraging, science, and facilitating the creation of partnerships between educational institutions and Ghanaian corporations through attachments, internships and volunteer opportunities; increasing quality of and access to post-basic education skills training; providing apprenticeships and employable skills training for out-of-school youth and graduates; and providing resources for the youth to participate in modern agriculture. Ghana has had a variety of funds and business support services designed to help business, especially start-up businesses owned by young entrepreneurs. These include Youth Enterprise Support, the Youth & Social Enterprise Fund, the Youth Construction Enterprise Fund, and the Youth Enterprise Support (YES) Initiative. There will now be a new Youth Enterprises Fund(YEF) and also industrial parks in all regions to provide funding and business development services for young people wishing to start-up a business. These parks are to provide the young Ghanaian entrepreneur with access to workspaces, equipment and basic services, including electricity and water. 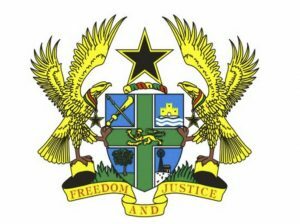 This in brief is a summary of Ghana’s actions and future plans to be implemented in our bid to address the problem of youth unemployment and to ensure the youth of Ghana are well-positioned to contribute effectively to the development of the country.